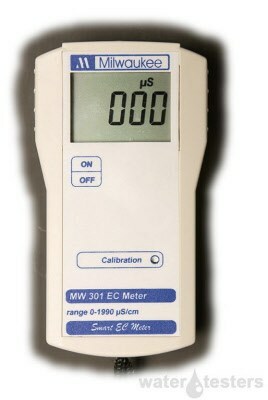 This new MW301 now replaces the sm301. Note: Shipping available in the USA and Canada only. Milwaukee MW301 is a conductivity and TDS Portable Meter, with Automatic Temperature Compensation, and are ideal for the educational and agricultural markets. Perfect for anyone who grows Plants or is in the aquarium trade.